Visiting Okefenokee Swamp is for you, if you’re a fan of canoeing with alligators, birdwatching or cycling next to a lush, riparian landscape. We recommend Folkston as your headquarters. Out of all of the swamps in the world, Okefenokee Swamp certainly wins for the catchiest name. Known as one of the seven natural wonders of Georgia, it’s certainly one of the more off-the-beaten path boomer travel adventures in the Southeastern U.S. 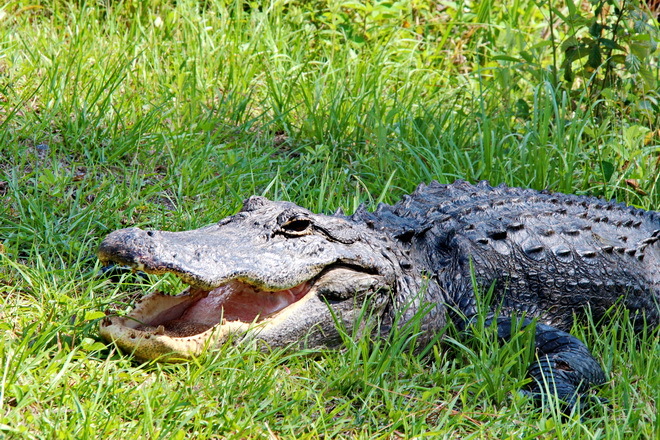 Guest writer, Leigh McAdam from HikeBikeTravel, shows us the best way to see Okefenokee National Wildlife Refuge, rich in both natural beauty and history. Called the Land of the Trembling Earth, Okefenokee Swamp—located mostly in southern Georgia near the Florida border—might not be the first place that comes to mind for a visit. Banish that thought. A trip here offers a fascinating look at life in a blackwater swamp. Not only is Okefenokee rich in natural history, but it’s got an interesting human history as well, dating back to 2500 BC when Native Americans occupied the area. Now, everyone from nature lovers to birders and plant lovers to photographers enjoy unbelievable natural beauty over a range of eco-systems. Most of the swamp has been protected since 1937 when it became part of the Okefenokee National Wildlife Refuge. It’s the biggest, continuous blackwater swamp in North America covering close to 700 square miles. Home to over 200 species of birds, 50 reptile species, 40 amphibian species, 40 species of mammals and an unknown number of insect species, the swamp truly is a nature-lovers paradise. Motoring through the swamp waters. 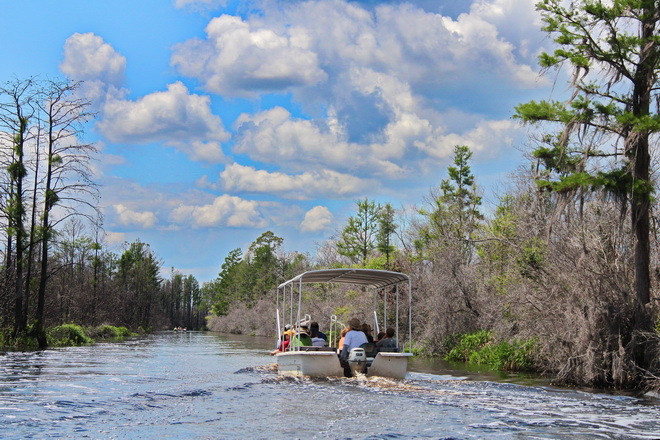 One of the best ways to see the swamp is via the 90-minute Okefenokee swamp tour. The guided boat adventure leaves the Visitors Center every hour throughout the day. The boat moseys down the Suwanee Canal to a widening of the waterway, which is the turnaround point. The canal was dug over a period of three years beginning in 1891. Big plans for turning the swamp into cropland never materialized, but a vibrant lumber industry did manage to remove most of the beautiful cypress trees over several decades. All of this history and more will be relayed to you as you make your way down the canal. On route, you will undoubtedly see alligators as well as an assortment of bird life especially sandhill cranes, egrets and herons. You might feel like you’ve been transported to another planet when you see the cypress trees literally dripping with Spanish moss. Four-hour extended boat trips are available by reservation only. You don’t need a reservation for the 90-minute guided boat tour. A boat ride isn’t the only way to explore the park. Adventurous travelers have a couple of options. If you just have a few hours, rent a bicycle and explore the seven plus miles of flat, paved road. Keep a close eye out for alligators and snakes should you choose to do this. Another option is a 1 to 4 night guided or self-guided canoe trip that takes you deeper into the swamp via a boat trail. You’ll paddle through evergreen shrub bogland, pine forest, wet prairie and cypress forest and camp on wooden platforms. Don’t miss a visit to the Chesser Island Homestead, accessible via a car or a bike. Settled in the late 1800’s by W.T. Chesser and his family, a stop at the homestead provides a window into the tough life these people lived. Walk through the house and admire the hand-sewn quilts on all the beds, visit the outbuildings which include a sugar cane mill, smokehouse and chicken coop. If you’re like me, you’ll come away thankful you weren’t born at the edge of a swamp. 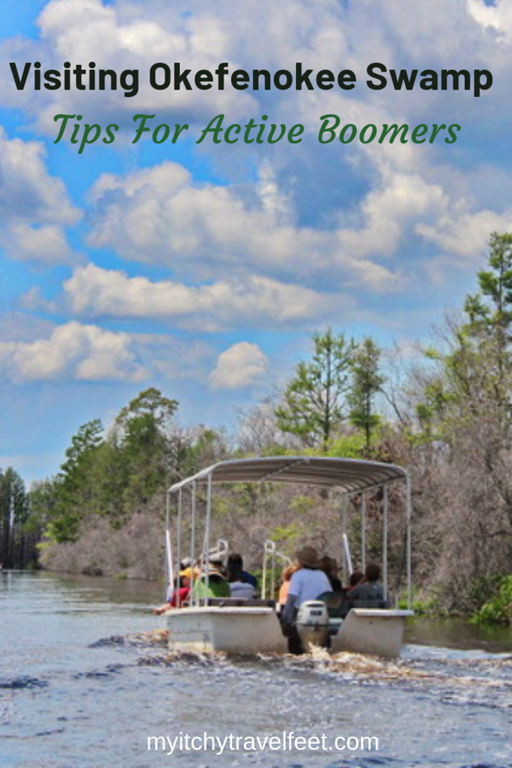 Thanks to Leigh for a great introduction to a fun boomer travel idea. 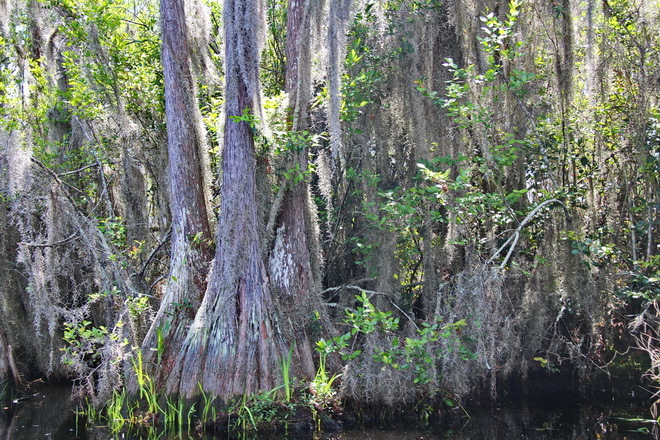 There are three entrance points to Okefenokee Swamp, all in Georgia. Look for the east entrance 11 miles southwest of Folkston, the west entrance 17 miles east of Fargo, and the north entrance eight miles south of Waycross. Entrance fees are $5 per day per vehicle. Boat tours start at approximately 9:30 a.m. If you want to avoid crowds and bugs, especially mosquitos (always pack repellent), consider a winter visit—November to February. Fall is also a good choice as long as there aren’t any hurricanes moving up the Florida/Georgia coast. Seeing the Sandhill cranes arrive is a big bonus to a November trip. Spring in Okefenokee is beautiful, but you’ll be part of the tourist crowd. 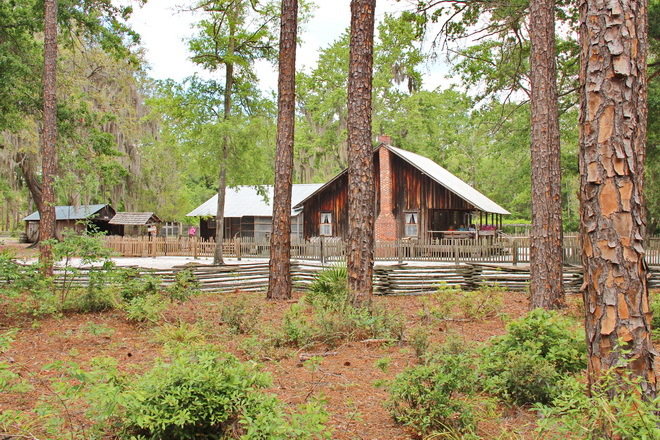 Okefenokee Pastimes Cabins has a reputation for clean, but basic cabins that are close to the wildlife refuge entrance. The Inn at Folkston offers a delicious breakfast in a small town Georgia setting that’s worth experiencing. Visit Georgia’s Golden Isles, St. Simons Island is our top choice. Head on over to northeast Florida for an Amelia Island getaway. Okefenokee plus the beaches of Georgia and northern Florida are the perfect combination for a fun, boomer road trip. Leigh McAdam is a well-respected travel blogger at HikeBikeTravel. Her adventurous spirit has taken her to fifty plus countries and recently she’s completed 100 outdoor adventures in Canada for her new book Discover Canada: 100 Inspiring Outdoor Adventures.